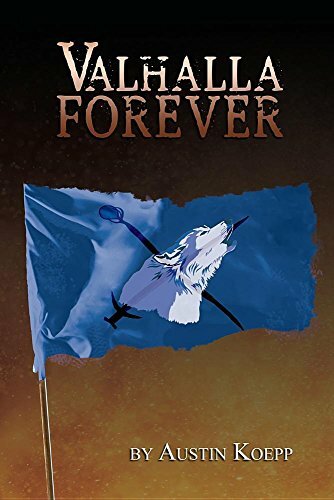 In “Valhalla Forever” by Austin Koepp, an overlord has taken control of Valhalla. Determined to have command over everything, he sets events in motion that will lead either to success or to his downfall. There will be nothing in between. The story begins when a young child name Michael is taken captive by demons. He has no idea who he is or where he has come from. A child in Valhalla is unheard of. It is obvious that he is of some importance because they are determined to take him somewhere. Along the treacherous journey, a wolf-like man named Keane steps in to rescue him. Then Remus, a dark warrior who might be friend or foe, joins them. As the trio continues their journey, they discover that Michael has some healing talents. They take him to Cora who is a shape-shifting witch. She and her protector Vont, also join them on their adventure. Each person has their own agenda, except for Michael; he just wants to know who he is and where he came from. This adventure takes the group to magical places where they encounter different kinds of beings, many of which want to cause them harm. They must quickly figure out who they can trust and who they must try to defeat. The path is not an easy one, yet the more they learn about Michael, the more they realize how much he is needed to defeat the evil overlord. As some other interesting characters enter the picture, the group begins to realize that they must all work together toward the same goal of defeating the overlord in order to defeat him. I truly loved reading “Valhalla Forever.” It is appropriate for most ages, including teenagers through adults. Austin Koepp is an incredibly talented writer. He does a fantastic job of character development and creating settings that are so vivid, he brought them to life in my mind, so I felt like I was watching a movie rather than reading text. This is one of those books that made me feel disappointed when the story ended. I hope that there are more books in this series so the adventure continues!